Racking your brain, you manage to outline the content, and compile all of it into a brilliantly-written, epic, and out-of-this-world awesome blog post. But once again you wonder why people aren’t begging for your services and money isn’t raining down from the heavens. Despite your best efforts, things are just inching along while you see other people in your industry making a killing, seemingly overnight. People are coming to my website, but they’re not signing up for my newsletter or email list. I thought my services would be booked out by now, but I’ve had only a few inquiries here and there. I’ve been implementing a bunch of different strategies to get more traffic to my website, grow my email list and get clients, but it’s just not happening. I see other businesses, creatives, and bloggers with awesome freebies, services, and programs having massive success online, and I just want to know what to do to make it happen for my business, too. You're frustrated and tired of waiting for your business to take off. Having a website that connects with, and converts visitors into subscribers and customers, builds your authority, and sells your services for you around the clock. Building a loyal and ultra-engaged audience that devours your downloads, shares your posts, and buys your products & services. The relief you would feel knowing you have all the (right) tools you need, and a step-by-step plan to make your website a profit machine - no more guesswork patching ideas together here and there, hoping something will stick. Waking up and seeing new sales made overnight. Your marketing and online growth is on autopilot, so you rest easy knowing it's fueling your business and finally boosting your bank account with numbers so good you'll break into your happy dance. ...and it's easier than you think. 60 days to a powerhouse website that converts traffic into subscribers, leads & sales. I created Wildly Profitable Website to show you the exact steps and strategies to exponentially grow your business with your website or blog. No coding skills or techie knowledge required. You'll get immediate access to download the Pre-Course Workbook so you can get started on creating your roadmap to rapid growth online. You'll be fully prepared and ready to dive in right away. I'll send you all the information you need to login to the members area, as well as send you the Profitable Website Playbook that goes hand-in-hand with the course modules. You'll get access to start Module 1: Paving Your Path and start taking action to make your website or blog a profit powerhouse. Then over the course of 8 weeks you'll get access to each module. Enroll & get Your Pre-Course Workbook! Create real connection with the audience you want to attract to your site and turn into paying clients. Speak their language and stand out from the competition. See your email list skyrocket with engaged subscribers and leads who love what you have to say and want to buy your products & services. Increase website traffic and get visitors to take action and share your awesome offerings. You'll convert visitors into hot leads and sales around the clock. Turn your website into a profit powerhouse. Fuel your business with a website that puts your online growth on autopilot. Full of easy to follow, step-by-step lessons that will grow your audience, email list & bank account. The Profitable Website Playbook, a printable, corresponding course workbook to guide you through the process week by week. You'll also get progress trackers, checklists, and worksheets to help you learn, take action, and implement all the awesome ways to fast track your online growth. Screen-recorded trainings for everything tech-related, but don't worry - you won't need to learn anything advanced to have massive success here! You get to watch me walk through each step so you'll never be confused or overwhelmed. Are you ready to have a high-converting, profitable website or blog? Want a Peek of What's Inside Each Module? The techie side of building a list: what platforms to use and how to use them - made simple with screen-recorded video tutorials. Pull in the profits - seriously boost your income and grow your bottom line! If you want to significantly grow your traffic, skyrocket your email list, and seriously boost your income, then this course is for you. There’s no real plan for profitability. ...Your website's failed to serve its purpose.  I love helping business owners, bloggers and entrepreneurs build beautiful, profitable websites and I want to help you do it, too! After working as a Marketing Coordinator alongside a successful Business Coach for 4 years, I learned a lot about what it takes to build, run, and manage a business in the real world - and not only that - but how to actually make it profitable. Honestly, I learned more real-world business strategy during this time than most people would ever get from a 4-year business school. So I've used my years of experience to make this course - something that will finally fill this massive void in the web design industry for business owners who want to take their business to the next level & make a killing online. I've done the research and I know there's nothing out there quite like this... which is actually why I made it in the first place. I believe that all business owners, no matter what you sell or what industry you’re in - yes, that includes you - need a website that does the heavy lifting for you, working around the clock to fuel your business. I truly hope you'll join me for this course! If you're ready to turn your website into a profit powerhouse for your business, click below to enroll now! Absolutely! If you finish the course, implement my strategies, and don't see any results, then you can email me within 60 days of purchase (2 whole months!) for a full refund. Forever, and ever, and ever, and...you get the point. friend! Enroll once and you'll have lifetime access to the course materials, which will be updated with any new strategies, videos, and course materials. How is the course content going to be delivered? Good question! The course materials are shared as video content, audio files, a course workbook, as well as checklists, worksheets, and progress trackers. No matter how you like to learn - reading, writing, watching, or listening, I've got you covered. Isn't all of this stuff I could find online? I'm sure you could! Does that mean it would be right there in one place with up-to-date, relevant information that's structured to get you the best results? Nnnooppee. You could spend hours sifting through conflicting information, wondering which steps are highest priority, and will really get you the results you're after. This course has everything you need, with each step designed to show you what to do and how to take action - saving you the time, hassle, and massive headaches you would endure trying to do it all yourself. What if I'm just starting out - no website, no blog, no following? You can absolutely take this course if you want to get a head start with your website or blog once you start it! I won't be covering how to set up a website or start a blog, but having this course in your toolbox is a great way to save time and avoid costly mistakes, growing your website the right way from the beginning. Tips, Tricks, and 'Secrets' Aren't Enough. You need a SYSTEM for turning your website into a Profit POWERHOUSE. If you want to significantly increase your traffic, skyrocket your email list, seriously boost your bank account and put your profit on autopilot, then Wildly Profitable Website is the fast track course to your online success. Have Questions About the Course? Let's Chat! Thanks! I'll be in touch as soon as possible. Can't wait to speak with you! Want a Peek of What's in Each Module?